Fourth Corner’s practical and plain-speaking pocket communications guide for busy line managers sits on the desks of thousands of leaders all over the world. 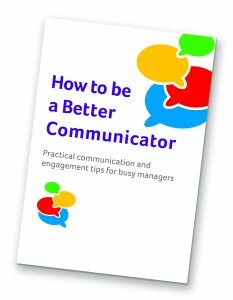 The book – How to be a Better Communicator – is packed full of practical tips to help line managers become more effective communicators, influencers and motivators. And knowing how busy managers are these days, it’s written in bite-sized chunks of plain English. 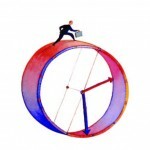 Each section contains dozens of easy-to-read nuggets of advice for the busy manager. You might want to use the book as a useful conference giveaway, to signal a new commitment to communication, to support the rollout of a briefing process, to kick-start a change programme, to support a training initiative. The applications are endless. How to be a Better Communicator is a bespoke book, which means we produce the book for you with your own logo and two-page introduction, so you can offer the book as an in-house production! If you prefer to do your own printing, or you want to offer the contents online, we can licence the book to you for you to use as you wish.